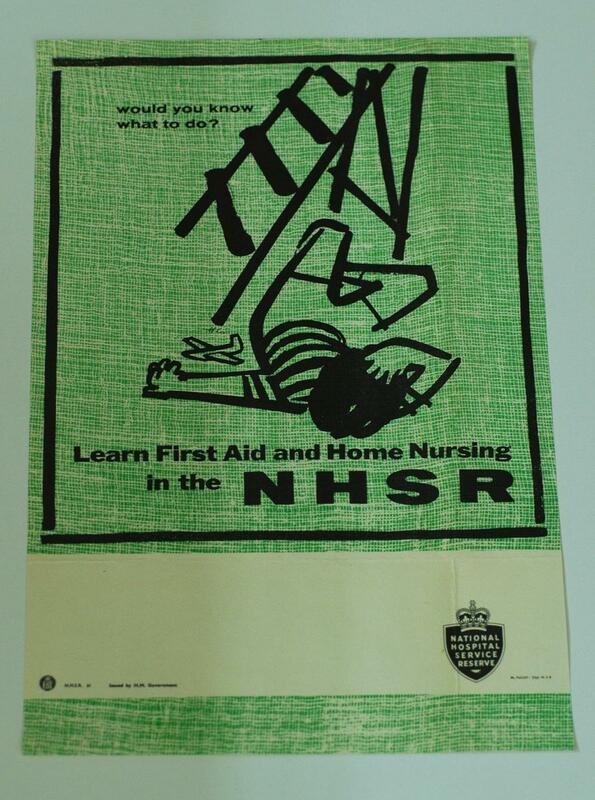 National Hospital Service Reserve recruitment poster with the words 'Learn First Aid and Home Nursing/in the NHSR' on a green background and featuring a sketched illustration of child fallen from ladder. All images are the property of the British Red Cross Museum and Archives (unless otherwise indicated), and cannot be used without permission. For queries about permission to use images, please contact enquiry@redcross.org.uk.